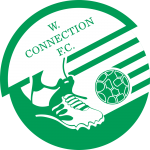 W Connection’s push for a sixth overall league title – fourth in the Pro League – and first since the 2013-14 season, hit a bump in the road on Saturday night when Stuart Charles-Fevrier’s men were held to a 1-1 draw by Club Sando at Ato Boldon Stadium. 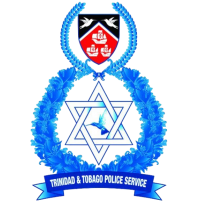 Police FC first piled the pressure on leaders Connection (27 points) with an impressive 4-0 win over Defence Force FC in the opening game of the Couva double-header to join Central FC, 4-2 winners over San Juan Jabloteh on Friday, on 22 points—five adrift of the Savonetta Boys. 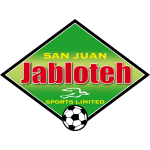 San Juan Jabloteh are third with 20 points and also will not give up the fight for a Concacaf qualifier spot—a top-two finish—as the competition promises for a thrilling end. Micah Lewis, in a rare outing for the Richard Hood-coached Police, arrived off the bench to score his first goals of the season with a late double after Kareem "Scooby" Freitas and Christian Thomas scored in separate halves. Later, Connection had looked on their way to re-establishing a seven-point lead after makeshift forward Alvin Jones, whose scorcher eliminated the United States from World Cup 2018 qualifying almost a year ago on Oct. 11 at the same venue, scored from a free kick, beating goalkeeper Kelvin Henry after just nine minutes for his second goal from as many matches with striker Marcus Joseph injury listed. But from an identical position above the top left of the area, another Trinidad and Tobago player, Tyrone Charles, silenced the Savonetta Boys’ supports by beating goalkeeper Julani Archibald at his near post to level the score 1-1 in the 31st minute. Archibald had earlier denied former teammate Jabari Mitchell, but was unable to preserve the Connection’s narrow advantage but was unable to stop Charles’ free kick. Both sides had cancelled out each other for long periods, sometimes by the use of brute force, before Jones was denied a second by the bar on the hour mark. 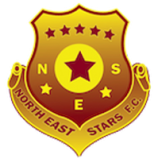 Caleb Sturge then troubled Henry with a laser from the top of the box before Sando captain Nicholas Thomas averted further danger. Kevon Piper had the game’s last scoring chance in stoppage-time, but the diminutive Sando substitute, with Archibald at his mercy, struck wide without even forcing a save out of the St. Kitts/Nevis international. A point, in the end, still means rolling on for the unbeaten Connection with Police, a side unbeaten in their last eight, up next on Tuesday when both sides return to the Couva venue from 8pm in the second game of a double-header. Central will clash with Sando in the first game from 6pm. Freitas put Police in front after 36 minutes against Defence Force, his ninth league goal of the 2018 campaign arriving in the cheekiest of fashions when he cleverly heeled the ball past Sheldon Clarke. Defence Force, minus the likes of Dylon King, Brent Sam and Jamille Boatswain, while veteran striker Devorn Jorsling looked on from the bench, fell further behind in embarrassing style with Clarke caught out his area on 63 minutes when Christian Thomas looped the ball into the back of the net for his 4th league goal after assisting in Freitas' opening item. Marvin Gordon tossed in the league's all-time top scorer, Jorsling, in an instant response, but Hashim Arcia brilliant curling effort which was saved onto the bar in the 15th minute by goalkeeper Adrian Foncette that stood the Tetron Boys best effort at goal. Arcia also forced Foncette into a save with 11 minutes left, by which time Police were leading 3-0 after Micah Lewis slapped home in the 76th minute on a blocked effort from Freitas. Micah, a 28-year-old former T&T youth player, then stole the show with a rocket in the 89th minute to complete the 4-0 win. Kareem Perry had the bulk of the Lawmen’s chances but was denied by Clarke and the post in separate instances in the first half followed by a trio of missed chances in the second half. Elsewhere, T&T Under-20 winger Kishon Hackshaw (32 & 82) marked his Terminix St. Ann's Rangers debut with a double, scoring the opening and closing items, but in a 2-4 losing effort at Point Fortin Civic. Mickaeel Jem Gordon (34, 57 & 62) gave home supporters at Mahaica Oval something to cheer, Civic's second league win of the campaign, also scoring his first goals for the Point Fortin outfit by way of a hat-trick before Justin Sadoo (80) notched the Reynold Carrington-coached side's fourth item. 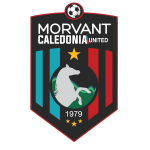 Civic are away from home on Tuesday against Morvant Caledonia in the second game of a double-header at Hasely Crawford Stadium after Jabloteh hosts cellar-placed North East Stars at the Mucurapo Road venue. Rangers, meanwhile, must welcome Defence Force at Larry Gomes Stadium. 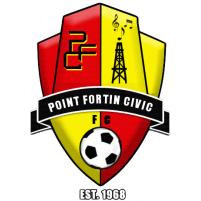 Point Fortin Civic 4 (Mikaeel Jem Gordon 34’, 57’, 62’, Justin sadoo 80’) vs Terminix St. Ann’s Rangers 2 (Kishon Hackshaw 32’, 82’), at Mahaica Oval. San Juan Jabloteh 2 (Jomoul Francois 41', Jamal Creighton 43') vs Central FC 4 (Akim Armstrong 6', 36', 44', Duane Muckette 71'), at Hasely Crawford Stadium. 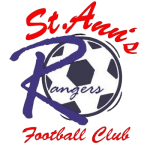 Terminix St. Ann’s Rangers vs Defence Force FC, 3:30pm at Larry Gomes Stadium. Police FC: 18.Adrian Foncette (GK) (Capt. ); 3.Ryan O’Neil, 5.Kenaz Williams, 7.Kareem Perry, 8.Kurdell Brathwaite, 10.Kareem Freitas (38.Makesi Lewis 81st minute), 12.Nequan Caruth (11.Micah Lewis 55th minute), 15.Christian Thomas, 21.Todd Ryan (4.Kadeem Boyce 74th minute), 29.Clevon Mc Fee, 33.Kemrom Purcell. Unused substitutes: 22.Theon Browne (GK); 13.Dillon Kirton, 14.Michael Hyacinth, 17.Dexter Alleyne. 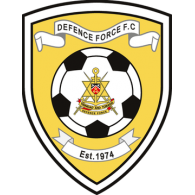 Defence Force FC: 25.Sheldon Clarke (GK); 4.Dave Long (39.Akil Morris 54th minute), 6.Rodell Elcock, 10.Hashim Arcia, 13.Marvin Jones, 16.Kellon Serrette, 17.Curtis Gonzales, 19.Thurlani George (9.Devorn Jorsling 65th minute), 27.Aaron Lester (20.Levi Serries 79th minute), 77.Kendell Hitlal. 99.Jerwyn Balthazar. Unused substitutes: 80.Jameel Enil (GK); 12.Jemel Sebro, 23.Kerry Joseph, 70.Adrian Welch. 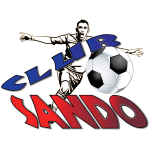 Club Sando: 34.Kelvin Henry (GK); 7.Akeem Humphrey, 10.Keron Cornwall, 11.Jabari Mitchell (13.Shakiyl Phillip 80th minute), 12.Michael Basdeo (8.Kevon Piper 80th minute), 15.Jabarry Francis, 17.Tyrone Charles (9.Shackiel Henry 80th minute), 18.Aaron Kennedy, 23.Nicholas Thomas (Capt. ), 27.Jayson Joseph, 44.Josiah Trimmingham. Unused substitutes: 33.Enrique Changiah (GK); 21.Derron John, 25.Aaquil Campbell. 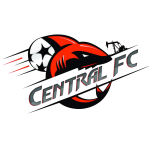 W Connection: 18.Julani Archibald (GK), 3.Gerard Williams (Capt. ), 5.Triston Hodge, 6.Kevon Goddard, 9.Kadeem Corbin, 11.Adan Noel (23.Kennedy Hinkson 65th minute), 13.Caleb Sturge, 16.Alvin Jones, 17.Neil Benjamin Jr. (27.Kierron Mason 81st minute), 19.Briel Thomas, 26.Isaiah Garcia. Unused substitutes: 33.Jason Belfon (GK); 8.Jameel Antoine, 15.Otev Lawrence, 32.Salas Cannonier, 34.Cephas St. Rose.